Henley on Thames is a wonderful town and as the name suggests, the River Thames is at the centre of this location. Henley bridge was built in 1786 and has five elliptical stone arches and goes across the river into town. The Angel on the Bridge is the only Henley pub right on the Thames and its beautiful inside and out – well worth considering for tea, coffee, food or a pint! The swans are always in sight from the river and there is a lovely river path to stroll along and take in the maritime vibe. Henley’s historic centre, with its church, town hall and market square, is just a few strides away from the river frontage. View George Harrison’s former residence to Dusty Springfield’s grave, and stop in at Lovibonds Brewery shop at the rear of 19-21 Market Place to sample and buy local craft beers. Just over Henley Bridge is the Pink Hippo Shop in the Leander Rowing Club, the training ground of Sir Steve Redgrave, Sir Matthew Pinsent and many other Olympic heroes. 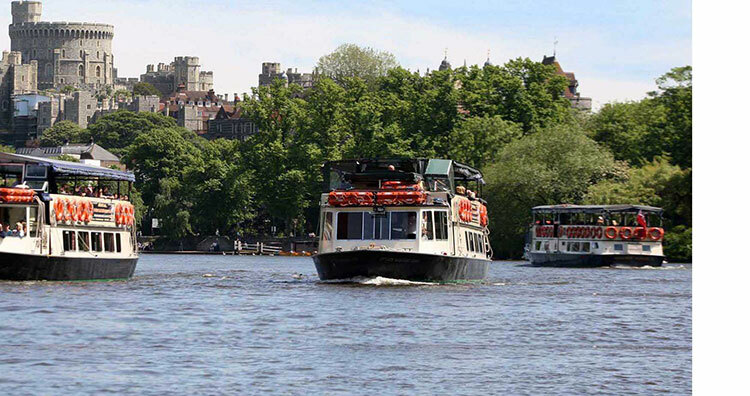 Other things to consider are the River & Rowing Museum (including The Wind in the Willows exhibition) and Hobbs of Henley passenger boats Thames Valley - Henley on Thames and Marlow cruising the 1 mile 550 yards of the Regatta Course. We recommend you lunch in Henley and then we go onto Marlow. Although not as famous as Henley on Thames, some say Marlow is prettier. Marlow is without a doubt one of the loveliest locations on the River Thames, set amongst the rich meadows of the river valley and alongside the woodlands of the Chiltern Hills. The vibrant Georgian market town is made up of historic streets and an abundance of boutique shops, restaurants, cafes and bistros all adding to the town’s unique charm. The town’s most famous landmark is the suspension bridge which spans the River Thames and joins the counties of Buckinghamshire and Berkshire. There are some fantastic Thames walks alongside bridges and canal boats or visit the award winning Higginson park, with many fine trees and large expanses of lawn with formal flowerbeds and a brick in grass maze, created by Adrian Fisher to mark the Millennium.